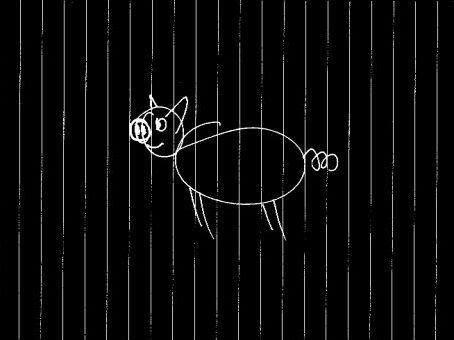 On a nondescript day in 2008, I asked my husband to draw me a pig. This is what he drew me! He then scanned it and emailed it to me at work and it made my day! This beautiful, rotund little piggy still makes me smile! but it’s 5 o’clock somewhere!